Let’s see. We are at the end of July, 2012 and what do we know? The US economy slowed to a 1.5% growth rate in Q2. Previous years’ GDP growth was ‘revised’ down. Microsoft, Apple, Intel, and Texas Instruments all had disappointing news on their respective businesses. US consumer confidence is the lowest in a year. Europe is in a recession that is worsening such that the ECB chief is making statements about doing everything necessary to preserve the EU. Remember kids, if you or me were to manipulate the indices like this we would be put in jail. The banksters have different laws than the rest of us. Just ask Martha Stewart. 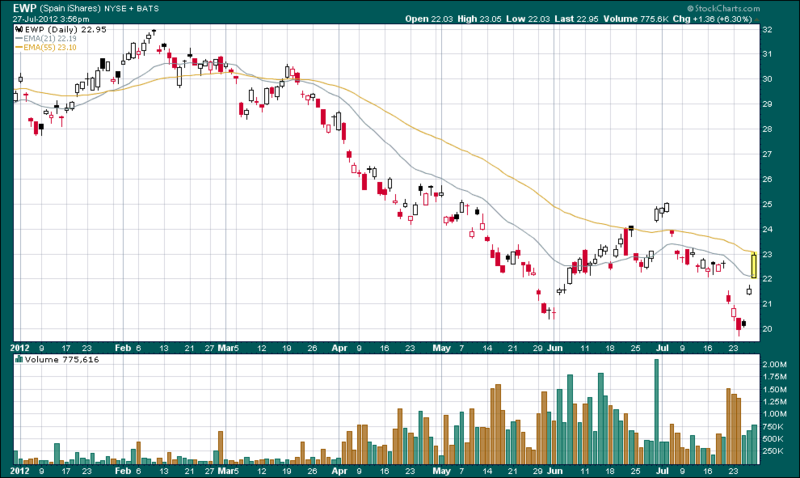 In addition, the crippled economies of Spain and Italy have banned short selling of the bank stocks. Spanish unemployment just hit an all-time high. Company-wise, Starbucks is closing stores due to poor sales. Facebook is falling on its face. Amazon.com just reported that net income dropped 96% from a year ago. And yet, the Dow has risen nearly 10% from its June 1st low! It is up 1.4% as I write this piece (7/27/12). Why? Central bank steroids. The US Fed and the EU ECB have both pledged to do everything possible to goose the stock indices higher. Uh, I mean they have both pledged to do everything possible to keep their big banker friends solvent. Uh, I mean they both pledged to do everything possible to carry on the ruse of economic growth. Oh yeah, there was some poppycock about helping economies and blah, blah, blah. But we all know far too well that the real goal of the central banker is to foster investment bubbles. It appears to me that we have entered into perhaps the biggest bubble ever blown! If the US economy was really in ‘recovery’, why would Mr. Bernanke continue to offer stimulus bubbles? If the EU wasn’t staring into a fiscal abyss, why else would Mr. Draghi suggest stimulus bubbles? The chart below illustrates the point perfectly. This is a year-to-date look a the Spanish ETF, EWP. Yes, Europe is in a recession and Spain is one of the weaker EU members at the moment. Today the Spanish government announced that the country’s unemployment is at an all-time high. The reported unemployment rate in Spain is now over 25% while the government’s bond yields have risen to over 7%. As has been reported for months, a 6% yield is supposed to be ‘unsustainable’. Does any of that matter? Not really. The ECB announced yesterday that they stood ready to do anything necessary to keep the scam going. Uh, I mean they would do anything to keep the EU intact. That means bailouts for the big banks or any other banks that hold derivatives related to Spanish sovereign debt. Now, take a look at the chart below and examine the last two trading days. Obviously we have entered the bubble stage of the central banker economic recovery. And, obviously there is no longer any reason to concern ourselves with news or reality. Between Mr. Bernanke and Mr. Draghi, there is going to be a bubble and that is all that needs to be said. Oh, while we all like to think we are still ‘investing’, the Dow was up 1.4% today on central banker comments. The Spanish EWP was up 6.3%. Still think we are ‘investing’? This is a bit of a departure from my normal blog about stocks. The stock indices are all in Bernanke’s hands anyway but there is something more important that I want to discuss. Please indulge me. There - he said it in public. I find Mr. Obama’s statement highly offensive, grotesquely insulting, pathetically moronic, and dripping with fascism. Although, I am not surprised in any way. I own not one but two businesses. I feel compelled to speak out. As our third President, Thomas Jefferson, once implored, I also feel a duty to try to change a government that no longer represents me. What follows is my rebuttal. I alone conceived the ideas for my businesses. I put my education to work. I relied on my intelligence to bring my businesses to life. I put my money into my businesses. I accepted all the risks. I accepted the prospects of failure. I get up everyday and go to work. I work hard and I put all my energy into my companies. I lie awake a night wondering if I have made the right decisions. Yes, for better or worse, I have built my businesses. And at the end of the day, somehow God gave me the courage to try. And now, after another hard day that every business owner puts in, I have to sit back and listen to some pompous, ridiculous, bureaucratic product-of-the-system that depends on the taxation power of subservient citizens lecture me that my efforts would be fruitless without the aide of government. Really? Actually, Mr. Obama, I believe that I have succeeded in spite of government interference. I must navigate 72,536 pages of tax regulations, 2,319 pages of financial regulation, 2,074 pages of the coming health care tax, and an endless morass of federal, state, and local regulations just to form and operate a business. But to claim I didn’t get here on my own? No, Mr. Obama, I didn’t. As you say, somebody built those roads and bridges to enable my businesses to thrive. And this is where the real insult lies. By the grace of God, I had a mother and a father who stayed together to raise me and by brother. My parents got up every day and went to work. I watched my parents go to work when they didn’t feel like it. I watched them go to work sick. I watched them go to work braving bad weather. I watched them collapse from exhaustion. I watched them pay taxes that went to pave roads and build bridges. I watched them pay taxes that paid for schools and teachers. My parents sent my brother and I to college and they paid every dime. My parents instilled in me a sense of self-reliance so that I would not drift through life in some meaningless bureaucratic job void of productivity and totally reliant on taxation of the productive for existence. No, I didn’t get here alone. My parents were there for me and they paid for the roads and bridges on which I now travel. They also paid for the roads and bridges on which the bureaucrats now travel on their way to their office so they can find ways to extract more money from me and my businesses through fees and taxes. To say that government is really the responsible party for the existence of my businesses is a most egregious insult to my parents. I take great offense to this profane remark!! A friend of mine immigrated from Greece to America in the early 1970’s. He knew zero english and he had $16 dollars in his pocket. To make a long story short, he learned to speak english, he started a business, and now owns several in our area. He left his native country of Greece to get away from a government that thought it to be responsible for building everyone’s business. Was my friend right? How has Greece faired with its social welfare philosophy? Will four more years of Obama’s rule exterminate America? The term ‘American‘ should not really apply to someone that is a citizen of the United States. Americans want freedom and opportunity. Nothing more. To have someone from Washington, DC belittle us for entrepreneurism, disrespect us for our courage, insult us for our efforts, and completely disregard our parents‘ contributions is perhaps the lowest point in American history. Mr. Obama, you should hang your fascist head in shame. You have certainly prompted Americans that get up and go to work every day to hang their head in shame for doing so. Perhaps Americans should show solidarity to protest this remark of insolence. Since our government has turned its back on us, we should reciprocate. I suggest the following. The date is Friday, July 27. The time is high noon. Wherever we are, we should find the direction of Washington, DC, rise to attention, and turn our backs to the capital for three minutes in silent protest. Pass it on. That’s my plan. Hopefully I can restrain myself from the urge to drop my trousers and offer a full moon! Greetings, investors! I have great news! The economy is headed towards a fiscal cliff and economies all over the world are struggling. Isn’t that great? Yes, of course it is. You know what that means? Here comes the ‘stimulus man’ - here comes the ‘stimulus man’!! Yippee!! We’re saved! Let the buying begin. Have I lost my mind? Hardly. The ‘market’ is dead and buried. Capitalism has been exterminated. Central bankers now set prices for everything. And, as we now learn from the LIBOR sham, the banksters make all their money on insider trading. Don’t try this at home, kids. They put Martha Stewart in jail for that. But banksters have different rules to follow than the rest of us. Well, actually, they don’t really have any rules other than to cheat the system any way they can and if they get caught, they just request a bailout. So here is the deal. The indices are now in the hands of the banksters. Societies, citizens, and formerly sovereign nations have surrendered to this new system else the banksters threaten to drive all indices lower. No stimulus means no rally and most certainly a depression. We wouldn’t want that, would we? No, of course not. So remain prostrate and keep the white flag flying. In the meantime, enjoy the rules of the new indices. The good news is there is a lot of bad news. That means central banker stimulus. The US economy is sputtering at best. Consumer confidence is waning. Unemployment is still very high. And the Supreme Court just affirmed that the ruling regime has the right to tax its subjects out the wazoo and they can call it ‘health care reform’ or anything else that stupid people are willing to believe. That means there is another round of stimulus around the corner! The Chinese economy is slowing quickly to something like a 7% growth rate. There is a property meltdown underway. Premier Wen announced that there was no sign of ‘recovery’. That means there is another round of stimulus around the corner! The situation in Europe is terrible and it will only get worse. Most likely, the EU is in a recession now. Of course, like the US, they will continue to lie about it in hopes that if they tell a big enough lie long enough people will begin to believe it. The fact is, EU nations are broke, insolvent, and totally dependent on perpetually expanding debt. That means there is another round of stimulus around the corner! The US retirement PONZI scheme known as ‘social security‘ is getting drained like a swamp over an oil field that a poor farmer owns. 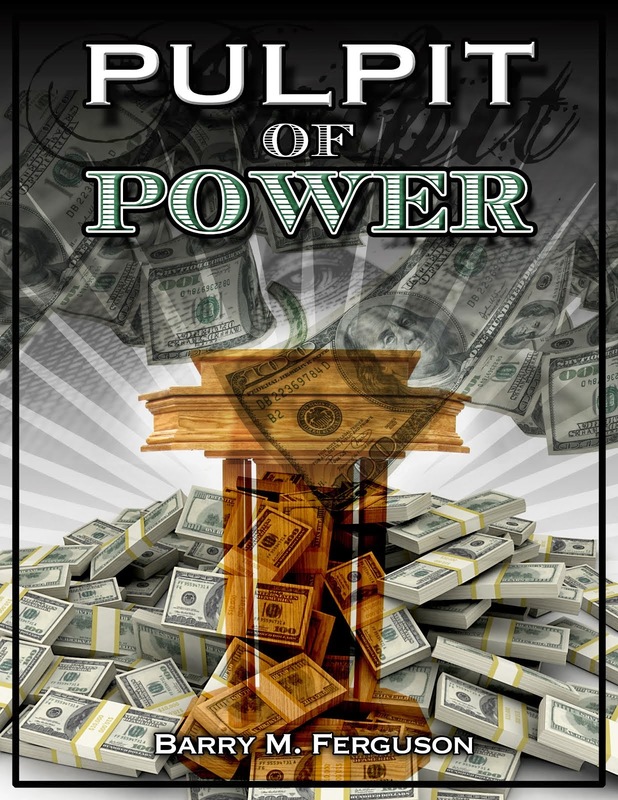 By law, funds in the system must be invested in US Treasury notes. Those notes currently yield less than 1.5%. As the months and years pass, that yield will move ever more toward zero. So, we are asking citizens to for over money for decades of their work careers to put into an investment that earns nothing at the hands of a central bank who works to devalue currency every day so that the bankster cartel can continue to borrow at zero to no doubt participate in insider trading with their derivatives linked to LIBOR. Even the idiots in Congress will one day realize the nature of the PONZI scheme and they will no doubt do what members of Congress do - they will raise our taxes to pay for the mess! That means there is another round of stimulus around the corner! Retail sales just contracted for the second month in a row in the US. That means there is another round of stimulus around the corner! The IMF just cut the emerging market global growth forecast. That means there is another round of stimulus around the corner! I could go on but you get the picture. Bad news is good news because it raises the probability of more central banker injections. The stock indices are now totally dependent on this action for stock rallies. 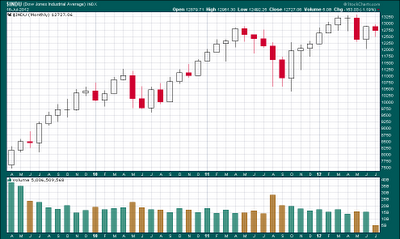 The chart below is a 3-year look at the Dow. We can clearly see the effects of Manipulation Ben as each stimulus/ bailout is announced. In mid-July, 2012, investors are waiting for the next Fed announcement of when the next operation will begin. This is a given. We all know beyond a shadow of a doubt that there will be another manipulative operation. It’s just a matter of when. 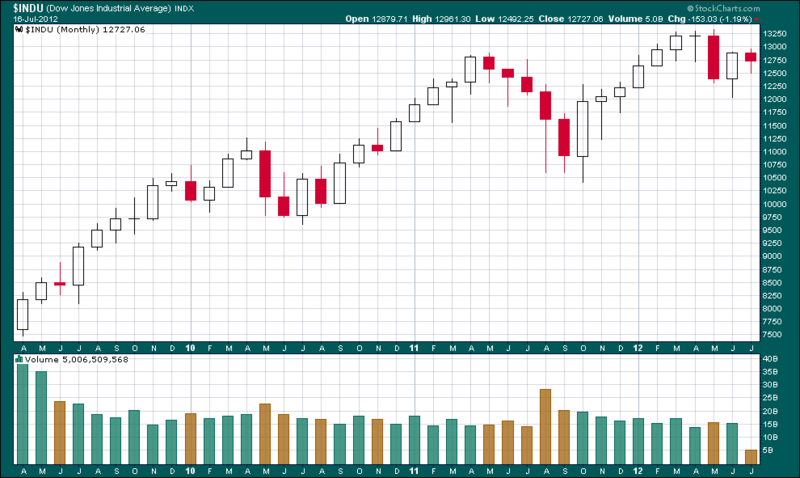 Interestingly, the chart below is a monthly look at the Dow over these three years. During this span, there have been only 12 negative months. Given where the world is in terms of economic failure, it is both extraordinary and nauseous at the same time. This tendency to rally on Fed action is extraordinary that assets are purchased on the acceptance that economic conditions that support those assets are disintegrating. Thus, in the new era we get Fed stimulus. The Fed actions trump reality. For those of us who love freedom and capitalism, this is nauseating because we are no longer free to set asset prices ourselves. Nor are we free to exercise investment skills to navigate through difficult economic times. Nevertheless, we should now be cheering for more bad economic news. Ben will keep blowing the bubble bigger and bigger and bigger. As the chart shows, Ben prefers to blow the bubble in late summer or early fall. Get ready to buy with abandon. Ben will soon be blowing the wind to our backs. Bad news is great. Terrible news is even better! One could only dream of how high the Fed would push the Dow should a full-scale world-wide depression put every worker on the planet out of work and in poverty. Would that be great! Rally ho!! !